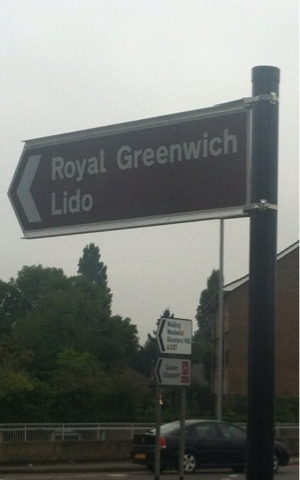 And Charlton Lido has a new name! And yes, this morning was foggy - the changeable-ness of this weather is amazing. Rain Saturday, sun on Sunday and Monday then fog this morning, which thankfully burnt off and we were back to fine weather again. It's been so nice to say we've actually had a summer this year (and very lucky for us).